Admirals Cove not only houses some of Jupiter's most luxurious homes for sale, but also an array of neighborhood and lifestyle amenities that make your dream home that much more special. The golfing is world-class and the boating couldn't be better, so start searching Admirals Cove real estate for sale today and schedule a showing for an available home tomorrrow! Search all Admiral's Cove homes for sale in Jupiter, Florida below! Five miles of navigable waterways frame these beautiful homes, which range from sleek condominiums to lavish single-family estates. Gorgeous views of the Intracoastal Waterway, convenient ocean access, and full club amenities set these luxury Jupiter homes apart from other upscale neighborhoods around the Jupiter area. Roughly 900 residents already call Admirals Cove home, so come enjoy a life filled with fun-in-the-sun, relaxation, and all the peace and quiet you can handle and invest in your piece of true paradise. For more information about Admirals Cove real estate for sale or other fabulous homes around the Jupiter area, give Dylan Snyder Group at Keller Williams Real Estate call at (561) 951-9301 and schedule a showing today. Located near Palm Beach, Admirals Cove has plenty to offer home buyers. Golfers will feel fortunate to enjoy the resort's 45-hole golf course, while those fond of boating may take advantage of the 75 slip yacht marina located right within the community. In fact, more than 5 miles of navigable waterways run through the Admirals Cove community, so spending a day out on the boat enjoying the warm Florida sun couldn’t be easier from your brand new home here at one of Jupiter’s finest county club communities. Not to mention, with five first-rate restaurants, a full fitness facility with state-of-the-art equipment, tennis courts and a luxurious spa all on the premises, Admirals Cove delivers on its promises of luxury for those lucky enough to call it home. In terms of price, a 3 bedroom home for rent in Admirals Cove will generally start around $7,500 per month, while a solid entry level price for a quaint 2-bedroom home for sale is just under $500,000. On the high end, stunning, waterfront mansions with all the bells and whistles and high-end finishes can range between $3-$10 million, depending on square footage, waterfront access, and other custom details. Want to purchase a home in Admirals Cove? Call your Jupiter real estate team, Snyder Real Estate Group at (561) 951-9301. Your neighborhood Admirals Cove real estate agents and agents are here to help with the Admirals Cove Jupiter, FL housing market. Looking to buy or sell a home in Admirals Cove soon? Our team of Jupiter real estate agents will help you navigate the purchase of your next home and expertly navigate the sale and closing of your current Jupiter home. 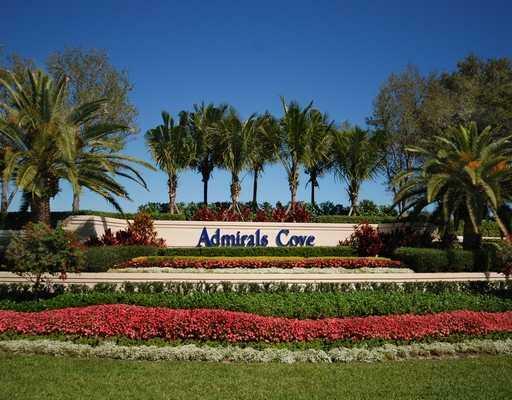 As neighborhood Admirals Cove real estate agents, we are specialists in the Admirals Cove real estate market. Let's get to work on your home search today! Contact Snyder Real Estate Group to discuss further about our exclusive buyer or seller representation plans. About to sell your Admirals Cove home? Receive a free home evaluation, where you can easily view your home's estimated resale value in seconds!